With year-round sunshine, beautiful beaches and waterfall-rich rainforests, Maui is everything you expect a tropical paradise to be. It’s Hawaii’s second largest island, a vast terrain of rugged mountains, deep valleys and wide stretches of land in between. Hiring a car on this isle gives you the freedom to explore some extraordinary places. Check out these must-drive regions of Maui and get moving! The Road to Hana is revered, not only as the premier road trip in Hawaii but as one of the best drives across the United States. It’s a 104 kilometre (65 mile) highway leading to and from the town of Hana, an outpost on the far north-east of the island. 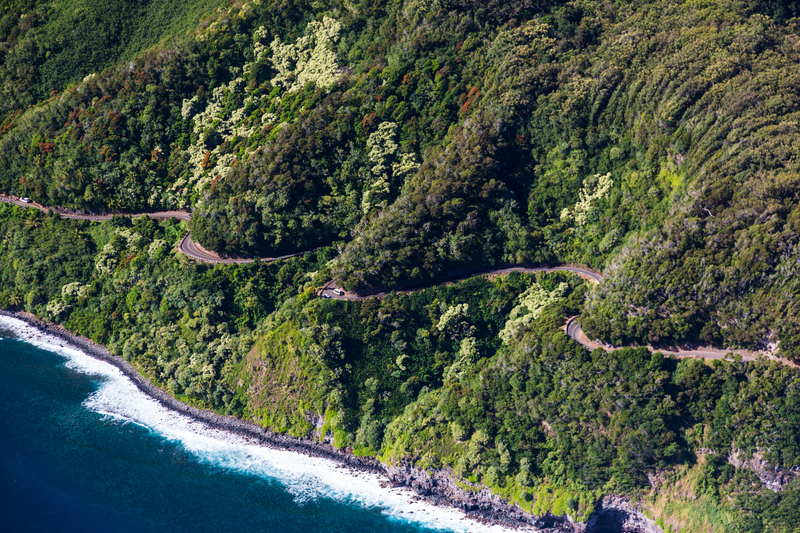 It’s a rollercoaster of twists and turns (620 curves and 59 bridges) dishing up fabulous coastal views on one side and Maui’s wild jungle on the other. It calls for focused driving but embrace the slow pace and make plenty of exciting stops along the way. Pull over in Paia, it’s perfectly positioned at the start of the trip for filling up the gas tank and grabbing refreshments. Do a drive-by of Hookipa Beach Park, Maui’s windsurfing hotspot, before heading east on the scenic Hana Highway. The drive presents many opportunities to hike in nature, swim under waterfalls and even peer into an ancient lava cave! Sample the freshest island fruits, locally made sugar cane juice and Aunty Sandy’s straight-out-of-the-oven banana bread. While most travellers squeeze in a trip to Hana (and back) in one day, it’s better to soak up the serenity of this area by spending at least one night in Hana itself. 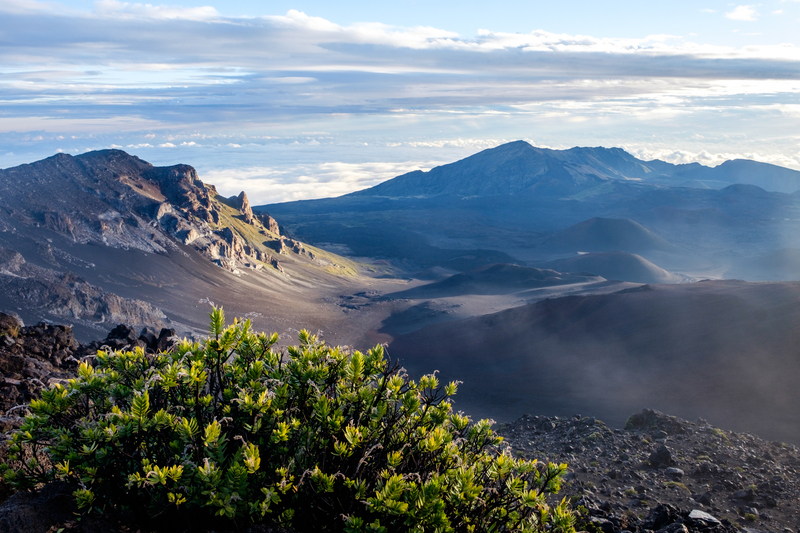 Mount Haleakala is a huge dormant shield volcano that forms 75% of Maui’s landmass. Its elevation is 3055 metres (10,023 feet) making it the highest peak on the island and the second tallest mountain in Hawaii. Mount Haleakala sits inside Haleakala National Park, an otherworldly landscape of dark valleys, lava fields and silversword plants. It’s a unique park to explore, and its summit attracts over one million visitors a year! Vacationers with a set of wheels can meander a long and winding road to the mountain summit and watch a mesmerising sunrise or sunset over the crater wall (sunrise viewing reservations are required ahead of time). Depending on where you are staying on the island, the journey can take anywhere from one and a half to three hours to reach the top. Meaning those heading up to watch the sunrise may have to leave as early as 3am! Don’t be disheartened, it’s worth it! Navigate towards the Haleakala Highway and eventually onto Crater Road to reach the park entrance, keeping an eye out for Hawaiian nene (geese) enroute. Stick to the designated viewing areas and wait to be amazed by the dawn or dusk of a new day. Note, this region is known for cold temperatures, sometimes even snow, so dress in warm clothing! Maui’s major airport and cruise port are located in Kahului in Central Maui, the central business district of the island. Naturally, this is where most visitors begin their vacation. One of Maui’s busiest routes is from Kahului out to the West coast, home to Lahaina and popular resort areas of Kaanapali Beach, Napili Bay and Kapalua. It also happens to be one of Maui’s most scenic driving adventures! After picking up your rental car from Kahului Airport look out for the Krispy Kreme Doughnuts drive-through, it’s an obvious place to detour! Hit the open road on Kuihelani Highway towards Maalaea Harbor, taking in the gorgeous green hills visible in almost every direction. 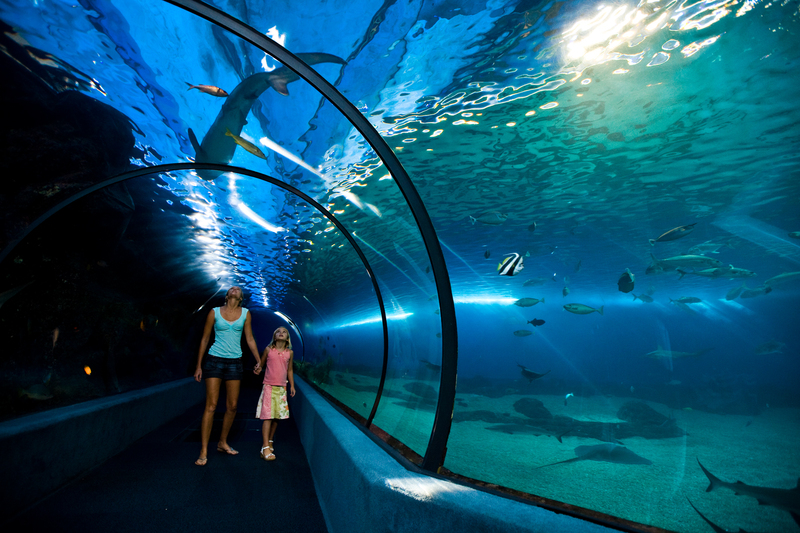 A great first stop is Maui Ocean Center, an aquarium showcasing Hawaii’s unique marine environment. As you continue on the Honoapiilani Highway, along Maui’s stunning West coastline, the neighbour island of Lanai will come into view. These waters attract Humpback whales, and it’s common to see them breaching offshore between December and May! After a short coastal drive, find the bustling town of Lahaina and cruise down it’s harborside Front Street. Spend time here exploring the restaurants, boutique shops and art galleries. Continue the trip north to Kaanapali Beach, park at the Whalers Village beachfront mall and soak-up everything this resort area has to offer including beautiful white sand and excellent snorkelling. As the end of the day nears, jump back in the car and drive to The Point at Merriman’s Kapalua for a sizzling sunset! For a breath of fresh air take a trip to Upcountry Maui nestled on the backslopes of Haleakala, a dormant volcano in the heart of the island. This region is growing in popularity thanks to its fabulous farms, ranches, restaurants, and vineyard. For holidaymakers with a car, discovering Upcountry Maui at your own leisure is a great way to spend a day! Bounce from one local food and beverage attraction to the next, sampling all sorts of island delights. Try locally grown coffee at the Maui Tropical Plantation, Hawaii farm-sourced cuisine at The Mill House, chevre (goat cheese) platters at Surfing Goat Dairy, lavender-infused scones and hot tea at Alii Kula Lavender, freshly picked strawberries at Kula Country Farm, and so much more! For the non-drivers in the vehicle there’s also the opportunity to taste-test pineapple wine at MauiWine and organic vodka at Hawaii Sea Spirits. The sweeping views over Maui from this part of the island are an added bonus. Ashlee Galea is an Aussie living in Hawaii who enjoys sharing Hawaii insider knowledge and travel advice on her blog The Hawaii Admirer.